Wizards of the Coast, 9780786963645, 380pp. In the final book of the #4 New York Times best-selling Neverwinter Saga, Drizzt Do'Urden navigates a winding path littered with secrets and lies. Tangled up in his companion Dahlia's dark secrets, the ties that once held her close to Drizzt threaten to tear as her bonds to his former foe, Artemis Entreri, continue to grow. Meanwhile, in the caverns of Gauntlgrym, the drow Tiago Baenre enlists the help of Bregan D'aerthe in his quest to destroy Drizzt. While making promises they may not keep, the agents of the elite drow mercenary group hide plans of their own. 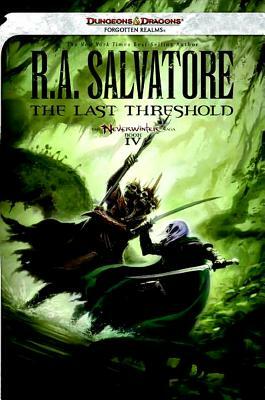 Determined to stand for what's right in the Realms once again, Drizzt forges a new road north--toward Icewind Dale. Will his new companions follow? Can he fight the darkness alone? Either way, he knows now where he's headed--back to the only place that's ever felt like home. hope for. You'll be hanging on the words till the very end . . . and then begging for more." "A quick read with some very satisfying fight scenes. It's also deeply layered with emotional atmosphere" --California Literary Review on Gauntlgrym, Neverwinter Saga Book I.